Choosing the best tool for your video editing workflow. Every video professional has their own favorite toolset. Today I will discuss the tools I prefer. This is not to say it's an exclusive toolset - it's just the video tools I find most productive to my workflow. Depending upon the job and what the project needs, an editor must be able to work in any toolset. 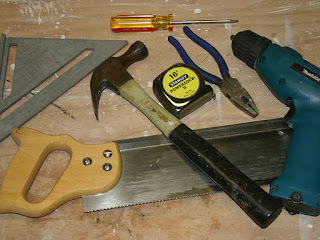 Just like a carpenter may have his or her favorite hammer, he or she will always use the tool that best fits the job. 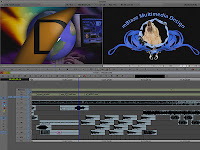 Avid Media Composer - As someone who started his career as an Avid editor, the Avid Media Composer is my first and favorite video editing tool. This probably comes as no surprise to regular readers of this blog. 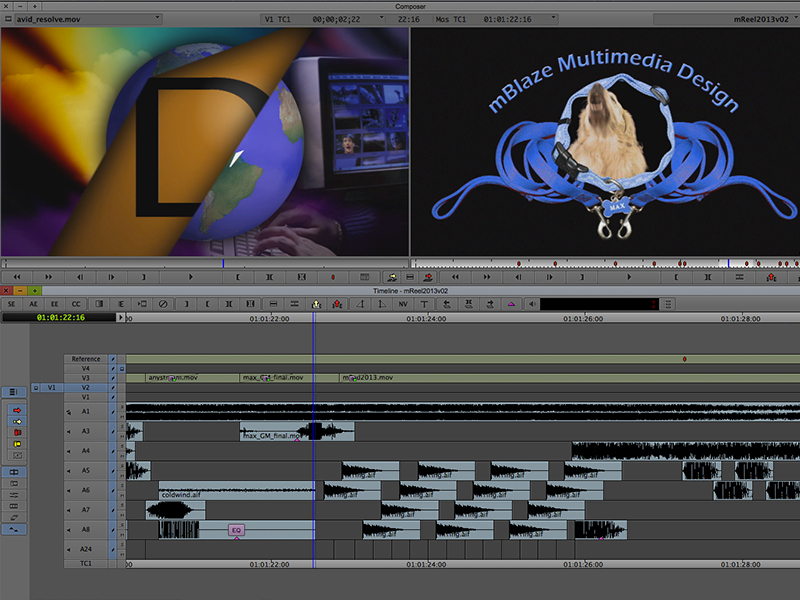 I find the Avid interface to match the way I like to edit more than any other editing application. Sure, it has its limitations, but its strong points far outweigh those limitations. The options for trimming alone make the Avid system stand out over all the others. Adobe After Effects - This application is crucial in my video toolset. I use After Effects not only to build animations for my video projects, but it can be used to fill in some of what's lacking in the Avid Media Composer, such as fluid motion effects (with audio) and clean, intuitive titling. 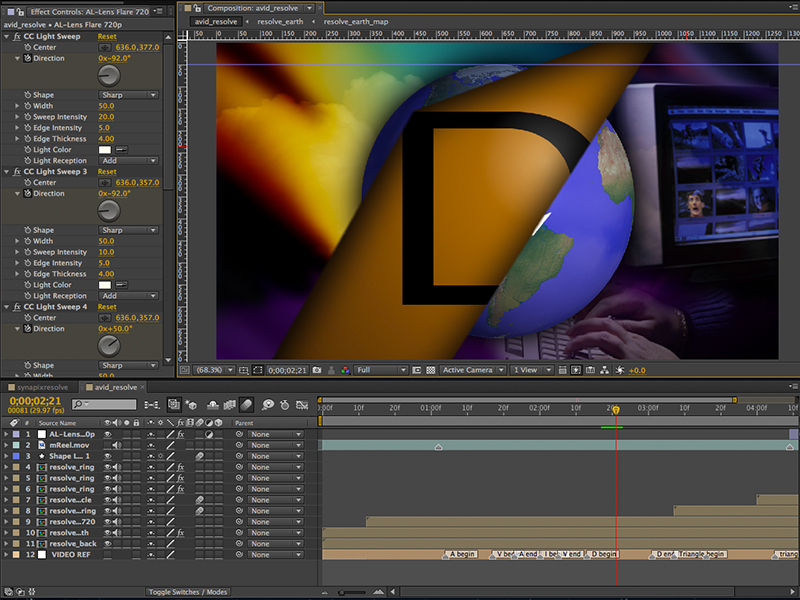 If After Effects developed an AVX plug-in like BorisFX, and all the animations could be built based on Avid media in the Avid timeline, that would be a dream come true. Adobe Photoshop - Whether I'm touching-up or expanding images for pan and scan for video, building a multi-shot panorama or restoring old photos, Photoshop is my favorite application for still images. Photoshop keeps getting better in its ability to allow you to edit images in a non-destructive manner. Converting layers to Smart Objects gives you a clear path to always get back to the original content of the layer. Sorenson Squeeze - In my workflow, I never use my edit system to transcode videos. I use a specialized application to do the heavy crunching - Sorenson Squeeze. When a video is ready for review, I export a reference video (when possible) from my edit system. A reference video is very quick to export and takes up very little space on your drive. This is because it saves only an empty wrapper file that points to the native media of the cut. Sorenson can then transcode directly from the actual media used in the sequence. 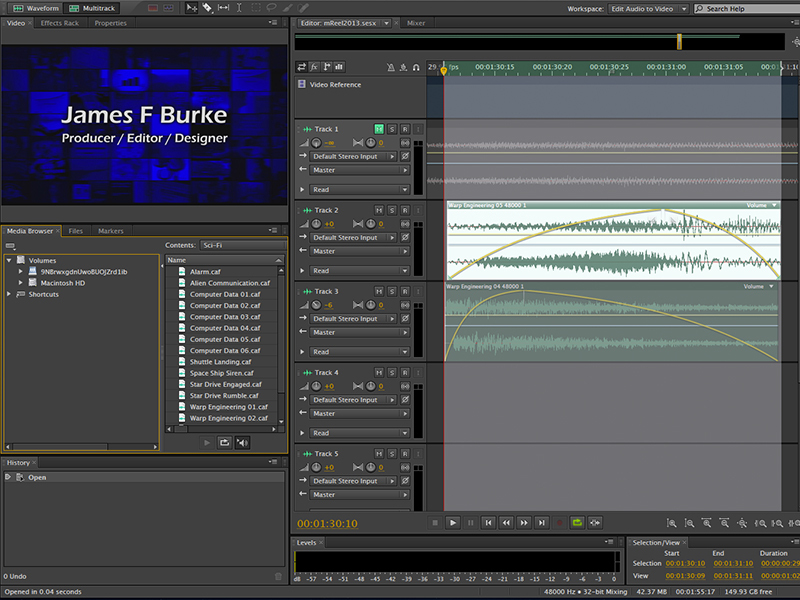 Adobe Audition - Any time I need to manipulate audio, whether I'm cleaning up tracks from old LPs or making audio edits that require more precision than video frame boundaries allow, Audition is my go-to tool. I don't claim to be an audio guy and have never used Avid Pro Tools, but this application does everything I need it to do. 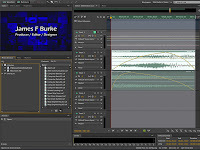 In recent projects I have used Audition to edit my music track and build sound effects. With a built-in video monitor, you can edit your audio to a video reference. These are the applications in my video toolkit that I use most, they contribute greatly to my video workflow. Just because these are my favorite tools doesn't mean that tools like Adobe Premiere, Adobe Encore, Apple Final Cut Pro, Apple Soundtrack Pro, Apple Compressor or Apple DVD Studio Pro don't have a place in my workflow - I use the tools that work best for the current project. I use Final Cut Studio 3 to my workflow, but, i've started the path to learn AVID Media Composer, for the people which came from Premiere and Final Cut Pro, it's a little bit different, but i only will know how to use the software, using. Final Cut Studio 3 is a great set of tools, I use them as well. I started leaning more towards Adobe Premiere Pro when Apple got rid of the Final Cut Studio package.